Industry experts claim that speech recognition technology, such as what is used in Amazon’s Echo device and even employed in the voice-to-text software in the majority of smartphones, is pretty much certainly going to be the next big technology entering the space of hospitality. The use of speech recognition in hotels is only a natural next step. 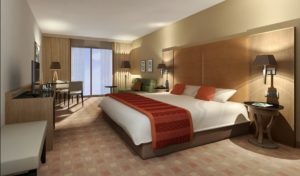 There are some hoteliers out there who expect that it will be integrated within their guestrooms, allowing guests control over everything, from the temperature to the blinds, using voice commands. Other hoteliers are focusing on the impact that it will have on mobile bookings. Some people are thrilled by the idea of trying new interactions, interactions with new people or with new operating systems. The vast majority of hotel guests, however, are not interested in these things. What they want out of their interactions with their rooms is for them to be consistent and simple. Hotels cannot afford to put up barriers when it comes to these experiences or they risk frustrating their guests. Before any in-room technology is invested in, hoteliers need to be aware of the trends in the market of smart devices, particularly how brand loyalty shapes these trends. People tend to be extremely devoted to their particular brand of smartphones and develop very personalized ways of interacting with their devices. When people are not willing to change their smartphone OSes, they’re unlikely to want to spend the time it takes to unravel how they can order room service using a TV remote or how to use smart tablets to change the temperature. The voice, however, is a different matter altogether. The current craze for speech recognition technology in hotel rooms can be said to have been initiated in the 60’s by the popular TV show, Star Trek. When the ship’s captain, Captain Kirk, needed to use the ship’s computer, he would use the word ‘computer’ as a prompt, signaling the Enterprise to listen and respond. What hotel guests need is a similar way to interact with their rooms, them talking, and the room responding. Pinpointing the exact beginnings of the voice revolution is difficult. Google phones have had it for the better part of the current decade. Apple’s Siri came not long after. And now Alexa and Cortana have joined the fray. Each iteration of speech recognition technologies has improved the ability of machines to communicate with people, allowing people to address the machines, and the machines to respond in meaningful ways. Imagine being able to use the voice prompt ‘room’ as Captain Kirk used ‘computer.’ Imagine that you could walk into your hotel room and ask the room the turn on the lights, turn the TV to your desired channel, and the temperature to your desired degree. Speech recognition technology could do just that and more, including ordering room service and setting alarms, responding to the guests’ native languages, using a consistent and simple process, not requiring guests to have to learn how to operate a complicated new operating system. The inclusion of bots may sweeten the deal further, replacing interactions that would traditionally involve staff members. 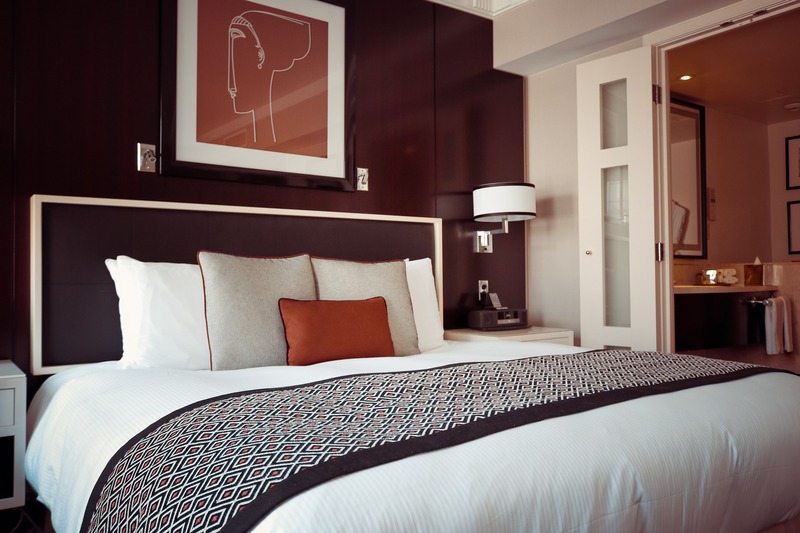 If speech recognition technology is going to work in hotel rooms, hotels will have to revamp and upgrade their infrastructure, connecting, for instance, their HVAC systems to a network, allowing it to change using voice commands. They will also have to link their entertainment systems to their speech recognition network, allowing users to control volume and flip through channels using voice commands. Their point of sale systems shall need to be connected to their bots taking orders. Every aspect will have to be connected. A hub inside the rooms will need the capability to communicate with systems, which will need to further be connected to other systems in the hotel. The JW Marriot San Antonio Hill Country Resort & Spa has incorporated the Echo Dot device into ten of its hotel rooms, proving that speech recognition technology in hotels is a part of our present as well as of our future, with hotels starting to test how it can improve their guests’ in-room experience. The technology gives guests immediate access to the hotel’s restaurant information, directions, room service, experience schedules and more, resulting in saved time for business travelers, and more time to enjoy themselves for those on vacation, enabling them to take advantage of everything on offer. This hotel is in the vanguard of new technology, allowing its guests wonderful new experiences. Aloft Hotels, a part of Starwood Hotels and Resorts worldwide, have unveiled their voice-activated hotel room, using Siri. These rooms have an iPad operating an Aloft app, an app that allows guests to control the lighting, temperature and more, using voice commands directed to Siri. The hotels call their initiative ‘Project: Jetson.’ They have embraced the latest in technology, anticipating the needs of global travelers. Their rooms allow travelers to regulate their hotel experiences with their voices. The iPad’s in Aloft’s rooms will offer guests a welcome screen upon them entering and guide them through the process of setting up their rooms, using tutorials on how to operate the technology. On the most basic level, guests will be able to make any request they like using the prompt, ‘Hey Siri.’ If, for an example, they wake up feeling too hot at 3 a.m., all they need to say is, ‘Hey Siri, warm the room.’ If they want the lighting changed, they can request Siri to set it to their liking, choosing one out of four moods. The lights can also be switched on and off using voice commands. Siri can also be asked to play music out of their iTunes account on their own devices. Siri can also serve as their virtual concierge and respond to requests asking for attractions nearby.